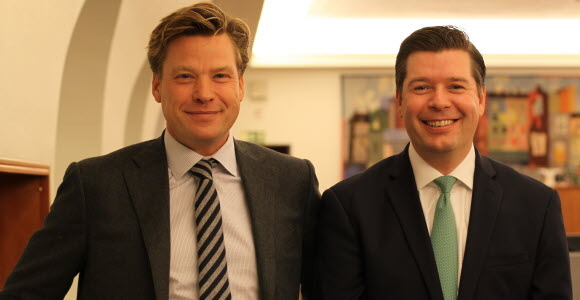 SEB appoints Joachim Alpen, currently head of Markets, Merchant Banking, together with Johan Torgeby, currently head of Client Coverage, Merchant Banking, to jointly lead the Merchant Banking division. Joachim Alpen (left) and Johan Torgeby have both been named additional members of the Group Executive Committee. "We really have a strong team in SEB committed to build the leading relationship bank in our part of the world. Both Joachim Alpen and Johan Torgeby have shown that they are great businessmen and leaders. I look forward to working more closely together with them as co-heads of Merchant Banking," says President and CEO Annika Falkengren.